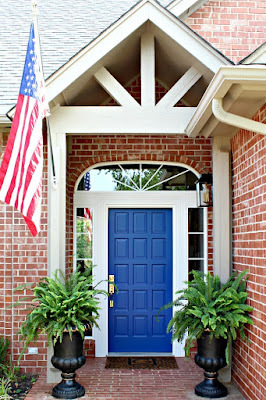 The Fourth of July is a favorite summer holiday around our family, and I can't believe it's just a few days away! 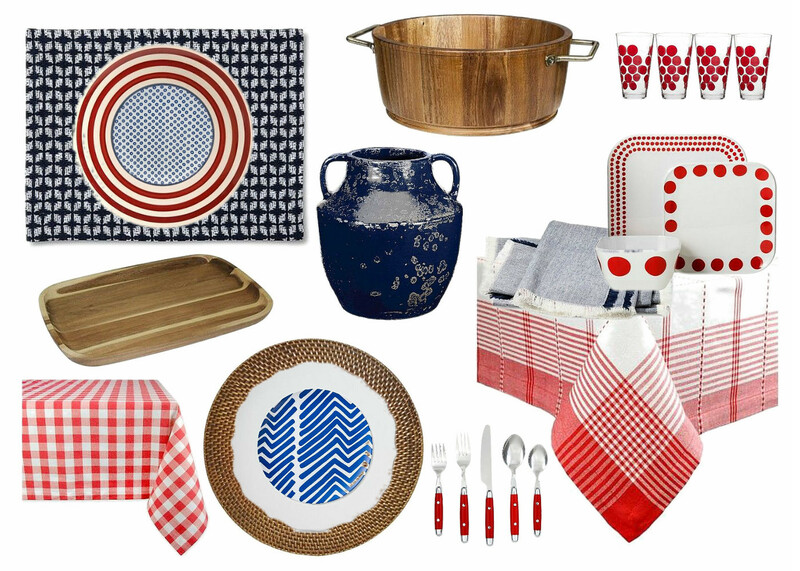 Recently I've shared a scrumptious dessert and yummy side dish that would be perfect to accompany your meal on the Fourth, and today I've rounded up some fun red, white, and blue tabletop accessories for the perfect patriotic meal. Let me start by saying this graphic is just a guide. Any of these settings that I played with can be moved around and mix and matched. 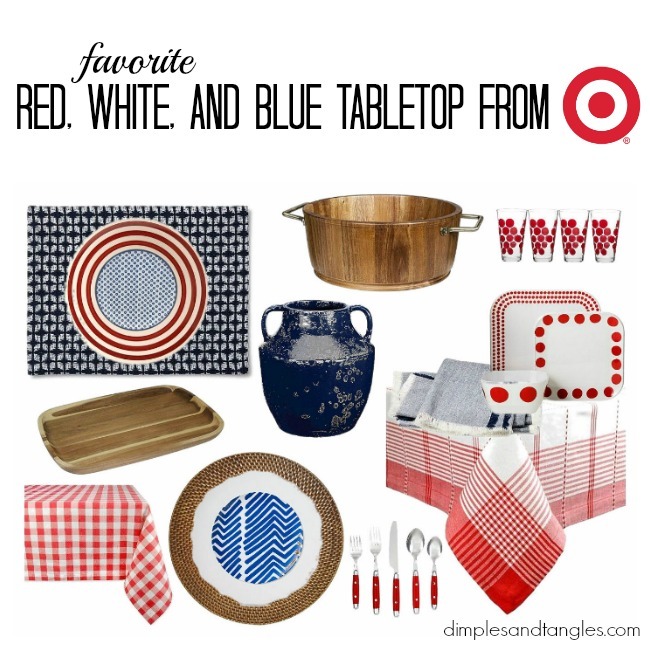 Even if you just choose one new item, all of these are pretty easy to mix with white or neutral pieces that you might already have to create a more patriotic color palette. I mixed in a few natural wood and rattan pieces just to add some interest and texture, and to keep everything from being too matchy-matchy. snip a few branches from a tree or bush and you've got the perfect centerpiece! Need more Independence Day inspiration? 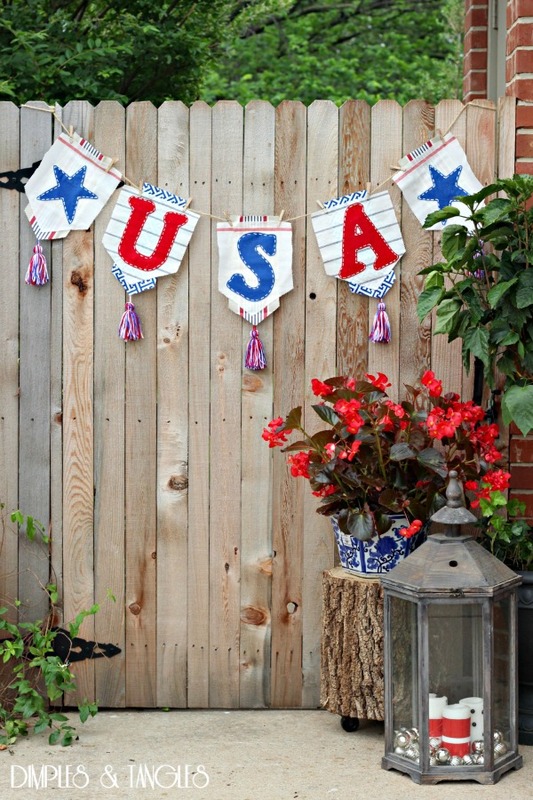 Whip out this cute no-sew banner in just a few minutes to hang near your party! 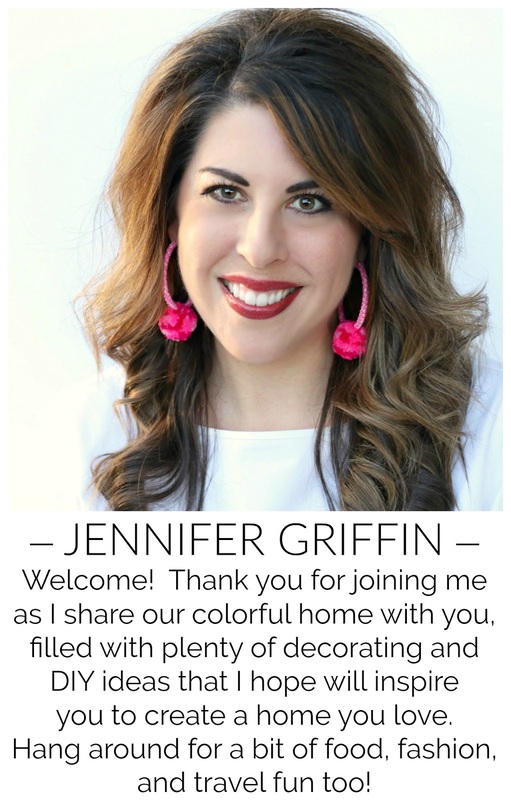 Jennifer, these are great selections! I see a couple of things that I actually need. Thanks for sharing! I love your selections! The tree trunk side table is a great idea. Did you seal the top first? Yes I did. If I remember correctly I think I just rubbed on a few coats of paste wax. We are actually spending the 4th around our abode this year and I was thinking about this very subject......getting some festive outdoor decor. Thanks for sharing your finds, and love the banner!